Thelonious Monk's Trinkle Tinkle is a tune that was just made for Kenny Werner. With his bright sound, it feels like shiny, sharp-edged and mis-shapen pieces of glass. And when they fall on the ground they break into even more, even odder asymmetrical shapes. The mischievous way Werner deconstructs it, interjects, remembers and then shows off one curious glistening fragment after another is not a dry exercise. It's a game, a series of tricks. It's magical. There have been some remarkable pianists dropping off in London as part of European tours in the past few weeks (Bill Charlap from on month ago is another who comes to mind). These are musicians with all the resources, individuality, unlimited wells of inspiration that come from decades of playing in this context. 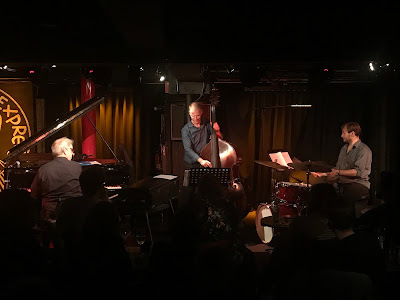 In Werner's case it was also a rare opportunity to hear him with his regular trio, a unit that has been together for 15 years, and which has just made its second album for the Pirouet label - yet another jazz label from Munich. As Werner said last night: "We have developed a voice together." In both the live gig situation and on the album, the listener can enjoy experiencing at close quarters how a group in which the members know each other well can give themselves and each other the freedom to roam and to explore. On the album that expresses itself in one completely unexpected track, Breathing Torso, the fifth track of nine, so at the heart of the album, in which the sustaining power and the orchestral possibilities of the synthesizer are exploited to the full, producing a curious amalgam of electronic eeriness and Brucknerian slowness. 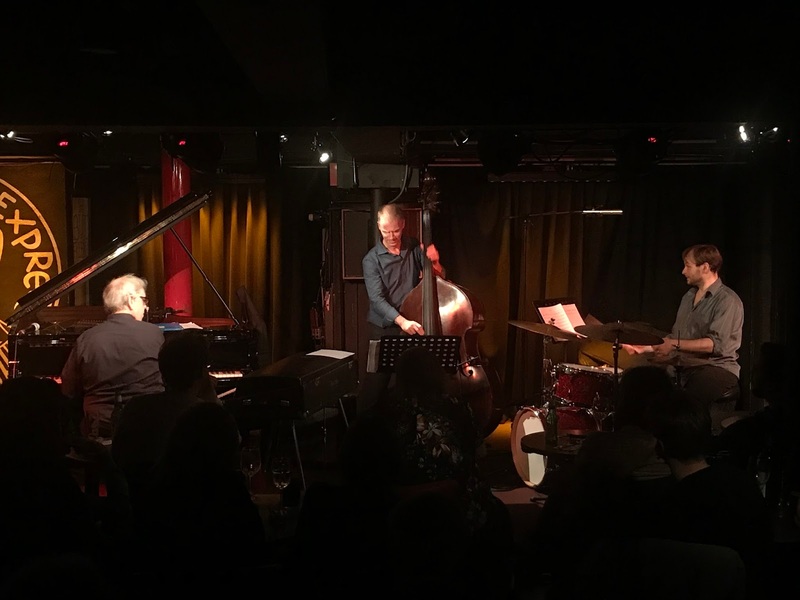 On the live gig it went in the direction of injecting the odd rest into Charlie Parker's Anthropology, and testing the rhythmic instability and unpredictability that results from it. In both the album and the live gig, we are also treated to Werner's way with the standards. On the album there is a thoroughly satisfying reading of If I Should Lose You, last night we were treated to Rodgers and Hart's With a Song in My Heart and Horace Silver's Peace - both had all the lightness and the poetry that one could ever wish for.